Tonight I stumbled upon a video featuring Nigel Marsh talking about work-life balance being an ongoing battle. 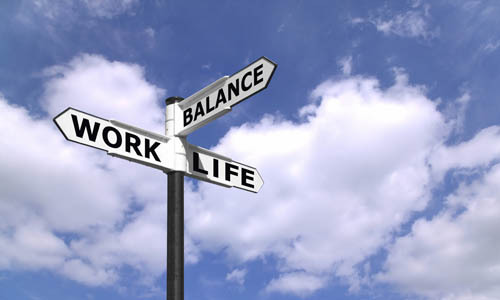 This TEDx video rings home some great thoughts on setting boundaries and expectations as you make the choices needed to maintain a better work-life balance. 1. Certain jobs and career choices are NOT compatible with being present and meaningful to a young family. Flex time and dress down Friday all mask core issues. 2. Face the truth – Governments and corporations will not solve your work life issues. We have to take responsibilities for the life that we lead. It’s particularly important that you put your life in the hands of corporations. Commercial companies are inherently designed to get as much out of you as possible. We have to be responsible for setting the boundaries we want in our life. 3. We have to be careful in the timeframe in which we choose in which we judge our balance. Write-out the ideal day we aspire to have with balance. Be realistic. You can’t do it all in 1 day. Elongate the balance of our life. Don’t fall into the trap of we will have a life when we retire. To be balanced, you have to attend to all areas. So here is my question for YOU: What does a life well lived to look like for you and your family? This is a constant struggle for me as a working mom. I am pregnant with our fourth child and I know baby #4 will be another ball into the juggling act. This video could not have come at a better time!